Such colorful and vibrant flowers in your garden. Lovely pics! and some more beautifull naked ladies here under Paolo's eye! Beautiful gallery of some very beautiful flowers. BV! Vibrant , collection , amazing ! beautiful and colorful gallery. BV! Belle galerie, superbe collection aux belles couleurs. You have one beautiful garden and have provided us with an excellent presentation! Terrific images Paolo! V! Beautiful collection..so much colour and variety....lovely work. An outstanding gallery filled with lovely flowers and wonderful color. Nice work, Paolo! 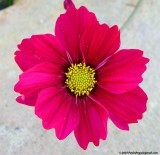 V.
You have a beautiful garden, colorful, and nice variety of flowers! All of my compliments to your fantastic gallery. Great Garden! Beautiful flowers in your garden, Paolo....colorful gallery! Top quality work and a pleasure to view. BV. This gallery is awesome, Paolo! Love the colors and shapes here! V.
amazing images, no matter what you shoot! BV! Amazing set of images, Paolo. Excellent job. A very beautiful gallery , you are a lover of flowers and probably a gardener. You can come and do my garden! This gallery is just full of great colourful shots. What a fantastic collection ! Great work ! 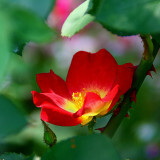 Excellent collection of flower images. A vibrant collection. Nice to see some spring colours being winter here. A great collection of shots. Beuatiful images of a beautiful garden Paolo! Thanks for sharing. Wonderful collection of beautiful images.V. They are all so lovely, i fiori bellissimi. Great gallery! Very well done! Bravo! The color of your flowers is beautiful. I truly admire your skill and creativity. Your flower world brighten my days . Glorious set of photos . Quite a beautiful garden Paolo... beautiful images. Not an easy genre, but the gallery is compiled of excellent captures! V.
Beautiful gallery filled with wonderful colors. A welcome sight!!! Eye-catching gallery. Beautiful flowers presented in great light!V! I have enjoyed looking at the many and varied flora and fauna images ... some really well composed and seen images. An excellent portfolio that I will look forward to seeing develop over time. Thanks for sharing them. Superb gallery....Wonderful collection...What a beautiful captures and colors...BV. Great work with the flowers too! Splendid gallery !!! Big Vote !!! Nice garden! Very colorful V.
Very beautiful gallery, I love your macro shots. Outstanding gallery! I love the colors! V.
Taken altogether these shots make a vibrant display. You must have a wonderful garden !!! Great gallery..VV.. These are gorgeous -- what a lovely garden you must have. I can imagine walking through it just to breathe its air. Absolute beautiful Gallery and great Colors! V.